Ifè Oshun's character-driven “Blood To Blood” turns vampire lore on its head. Scheduled for a December 4th release, the series debut takes YA fantasy readers into a unique, contemporary world with the introduction of the blood-drinking, vampire-spawning Shimshana; plus unexpected twists and an insider’s view of the pop music industry. The twists that occur in the plot with regards to character revelations [are] fabulous - completely unexpected. Praised by young adult fantasy book bloggers as "unique" and "creative," Blood To Blood is set for official release on Tuesday, December 4, 2012. Labeling the debut novel as "completely different," Lucy, a teen who runs the English YA fantasy book blog titled Read, Write, Sleep, Eat!, says, "It's the perfect mix of Twilight and The Immortal Rules and I completely devoured it!" American blogger/mom Kayla (The Ramblings of a Toddler's Mom) writes, "The twists that occur in the plot with regards to character revelations [are] fabulous - completely unexpected." 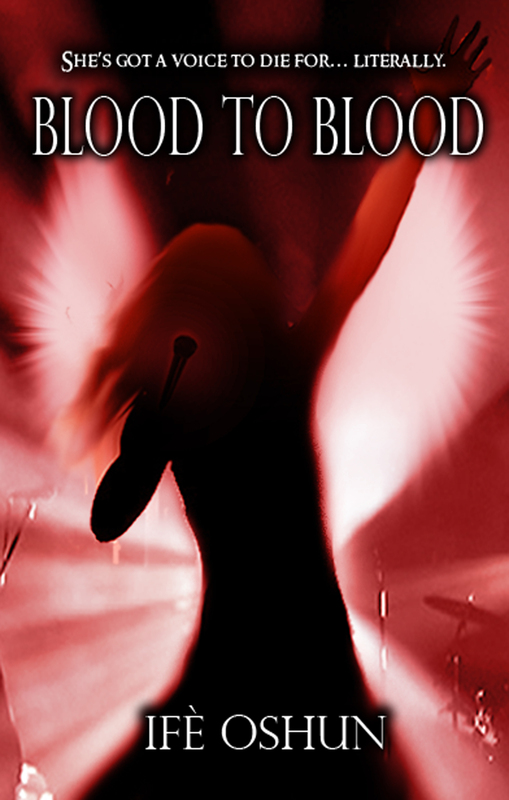 Blood To Blood is the first in a series of YA novels centered around new-born Shimshana Angelika Brown, aka Angel, a 16 year-old rising pop star raised in the upscale Boston neighborhood of Beacon Hill. The first chapter of Blood To Blood can be read here. Summary: Enter the world of Bostonian teen Angelika Brown: budding pop star and descendant of an immortal race of sun-loving blood drinkers known as Shimshana (the vampire prototype). Defying her parents' traditions of higher education (and secrecy), Angel plans to ditch high school to be a singer. She’s got an amazing voice, but she's also maturing into a full-grown Shimshana complete with fearsome power and insatiable bloodlust. What's worse, her soaring vocals are now capable of destroying everything, and everyone, within earshot; including her girl group, their mysterious producer and Angel's hunky new blood donor. To top it off, she must prove her worthiness to live by passing the tests in her Mahá–the ancient, mandatory coming-out-party for new-born immortals. Will Angel survive her Mahá and quickly learn to control her new abilities? Or will her killer instincts bring her promising career, and her life, to an end? As the daughter of ancient immortals, Angel is faced with jaw-dropping challenges, while forced to make complex moral choices that will forever shape the person she is becoming as she pursues her dream. In an interview with Australian book blog Novels on the Run, Author Ifè Oshun, who hails from a family of mediums and metaphysicians, says, "The book chronicles the coming-of-age of a girl, a simple girl who wants to share the music in her heart with the world and who is born to a legacy of blood and glory. It was inspired by real events." Ifè Oshun worked for over a decade as a music journalist. She also independently produced and wrote for television and theater and served as a Writers Guild of America intern on the Star Trek Voyager television series. She lives in her hometown of Boston and can be found on her website http://www.ifeoshun.com.